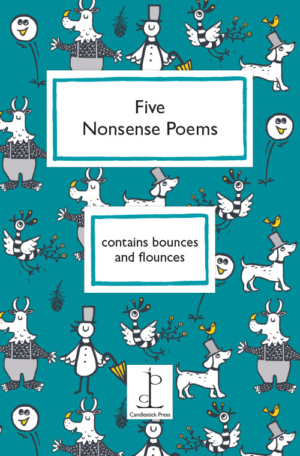 Five Nonsense Poems is for children of all ages, and indeed for anyone who enjoys being silly! This revised edition of our mini-anthology includes poems about exploding Nonny-birds and a ball that won’t stop bouncing. It also features Spike Milligan’s magnificent, elusive Squirdle… or possibly it is a Pussel-skwonk after all. Guaranteed to make no sense at all. Includes poems by Pauline Clarke, Spike Milligan, James Reeves and Michael Rosen.